Shred Nations Joliet proudly offers mobile shredding, off site shredding, and electronic media destruction services throughout Joliet and the surrounding areas. Shred Nations has been providing quality services throughout the country since 1994, but have been in the shredding business since the 80’s. With over three decades of experience, you can be sure that we have acquired a network of reliable and high-quality shredding service contractors throughout Illinois and across the country. Shredding documents and electronics is our specialty, and we at Shred Nations will work hard to make sure your shredding project is performed securely and effectively. 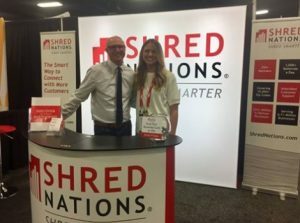 We appreciate your time in considering Shred Nations as your resource for finding the best, local shredding providers. Use the information below to contact us so that we can find a reputable shredding company near you. Shred Nations Joliet is your solution to finding secure document shredding services throughout Joliet and the accompanying areas. Whether you need mobile shredding, offsite shredding, or electronic media destruction, Shred Nations Joliet can find the service to fit your needs. To get your free quotes in just minutes, give us a call at (815) 768-3990 or fill out the form on the right.